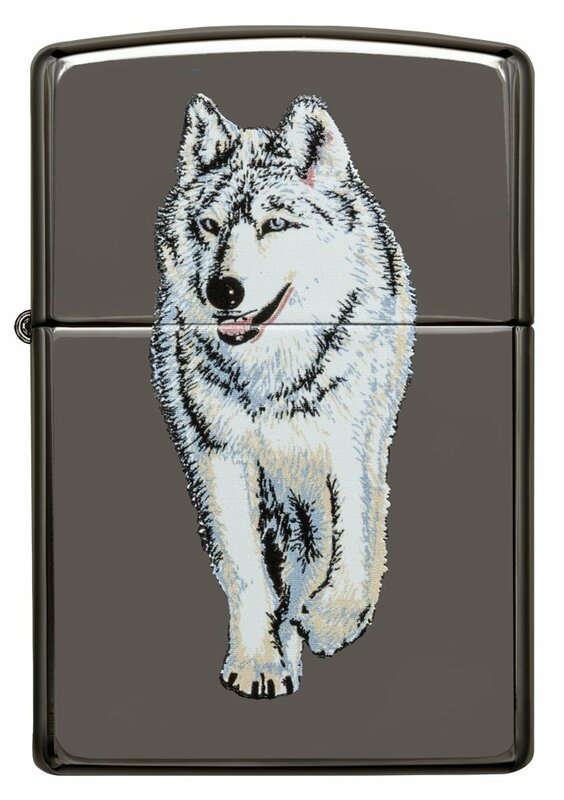 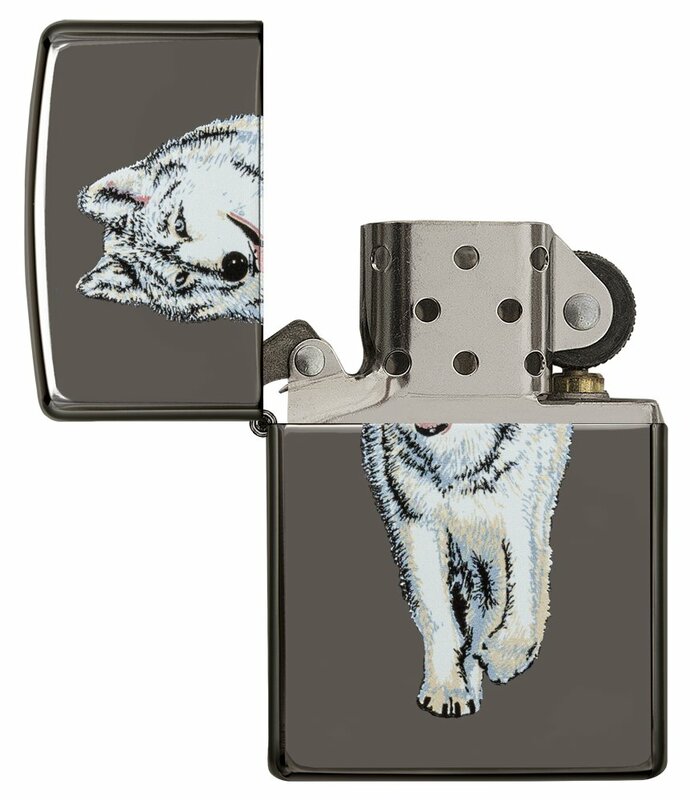 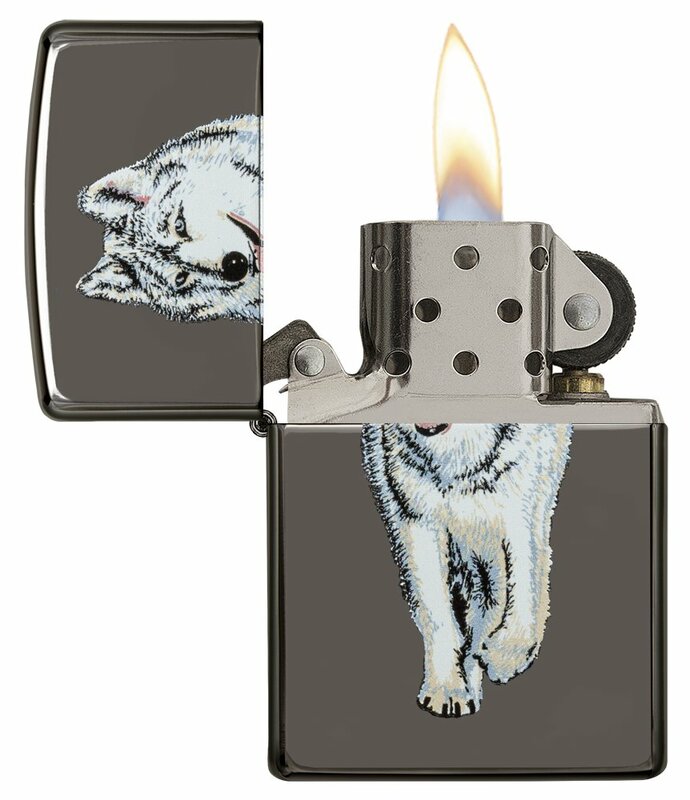 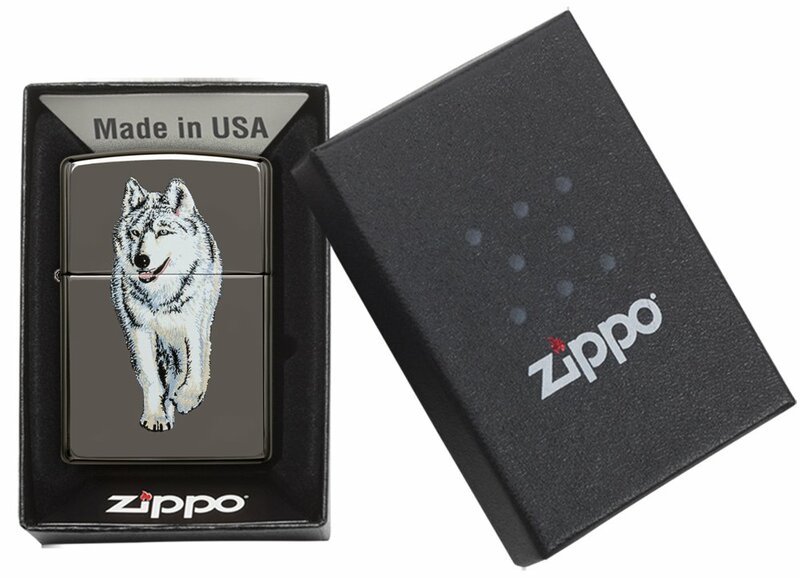 A Zippo lighter with translucent powder coat, Black ice, classic size case, finished with a Wolf design. 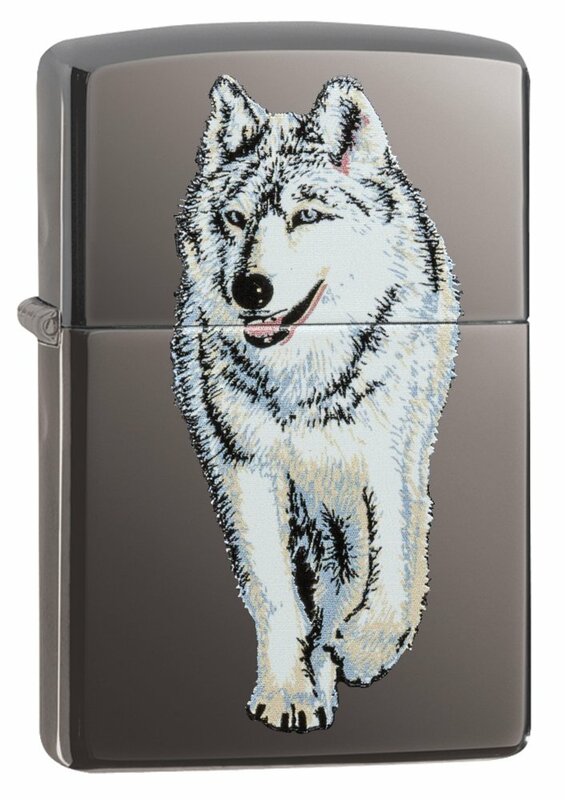 This lighter requires fluid fuel. 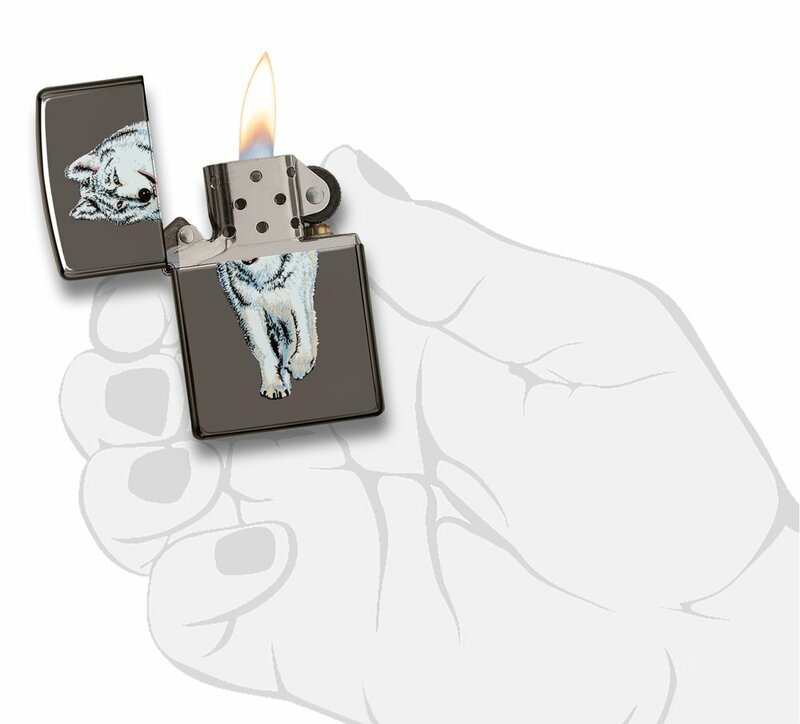 The lighter is supplied un-fueled for safety during shipping.